As soon as you have placed your order online or via our sales line, you will receive an email containing your invoice and details of your order. Please check these carefully to ensure they are correct. A member of our sales team will then email or telephone you to advise when they will be delivered. 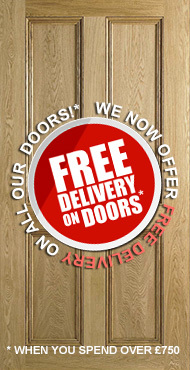 We offer Free Delivery on Door orders above £750 inc VAT to Mainland UK, regardless of the number of doors ordered. So whether it be 1 or 500 doors delivered to mainland UK on the same order – so long as the order is above £750 - the delivery remains free! If your order is below this threshold, your order will be subject to a £34 delivery charge (inc. VAT). Some postcodes are excluded from our Free Delivery offer due to distance, and so a surcharge will be added at Checkout. Delivery prices for orders that are for Sinks / Taps/ Ironmongery or Woodstain (i.e. no doors) are based on the total order weight. The prices shown are inclusive of packaging. £7.90 + VAT - Delivery for all non-door orders. The levy of a delivery charge listed above does not necessarily mean an order has the weight corresponding to that price. In some instances the actual load may be above/below the weight-band, but reflects the postage and packaging cost incurred. 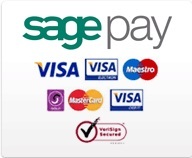 All our delivery charges are heavily subsidised, to ensure the customer receives best value for money. We deliver throughout Mainland UK and to some non-mainland UK areas. We can deliver the majority of our orders within 5-7 working days. Please note that all delivery times quoted are approximate and may be subject to unforeseen circumstances which are outside of our control. However, we will always endeavour to deliver within the times quoted. If you've any questions regarding our delivery pricing, or our delivery areas; please don't hesitate to get in touch with us. You can call us on 01926 422232 or email us on [email protected] - you can also visit us at our showroom if you're local to the Leamington Spa area.